"We are committed to providing the professional excellence our Clients deserve. We are not satisfied until the Client is satisfied. We will strive to provide the safest, most economical, and most efficient design at all times." 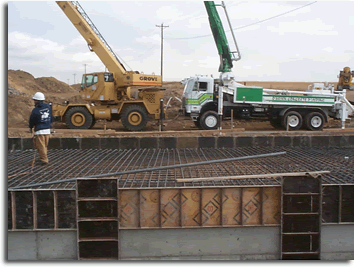 C&H is a structural engineering and infrastructure consulting group headquartered in Lakewood, Colorado. Since 1999, the founders of C&H, as separate entities, have been providing services to home-owners, building and plant owners, architects, contractors and municipalities. Our common goal at C&H has been to create an engineering service that focuses solely on the client and the client's needs. We keep our overhead extremely low, while at the same time producing a quality product at a price that would put the 'big boys' to shame. We collectively maintain a library of sophisticated drafting, modeling and analysis software which allows us the ability to provide an efficient, cost effective and accurate product to even the most complex structural problem. C&H developed through necessity. We, as a team, have seen the inefficiencies of the larger "big-box" consulting firms. We have worked inside them and for them and have seen this first hand. Client money is consistently thrown out the window on wasteful purchases, redundant overhead and idle workers. Our promise to our clients is this; you will pay for our time, knowledge and experience - nothing more. With over 25 years of combined design, analysis, field inspection, and professional experience, we can confidently guide our clients from the preliminary design stage through final construction. C&H realizes that every project is different. In this industry, the norm is to bid on a project using a similar historic project budget. This typically leads to a bid grossly overpriced - squandering client money that could be allocated elsewhere or grossly underpriced - forcing the engineer to cut corners which creates construction issues and multiple headaches down the road. C&H goes the extra mile by working through the details and scope using a comprehensive set of in-house criteria, allowing us to accurately price a project correctly - the first time. C&H is professionally licensed in the states of Colorado, California and Pennsylvania, with the ability to obtain licensing in any state given adequate notice. We have assisted on many complex projects in over 15 states. We also provide LEED Accredited Engineers on our staff.